Love and Blogic: Chores 1 - Getting Ready for Summer - Love and Logic - Back in Gear! Chores 1 - Getting Ready for Summer - Love and Logic - Back in Gear! Well. I've been off task for a good many months but I still love Love and Logic so it's time to get in gear! If you are in the Metro East of St. Louis join our Metro East Love and Logic group here. 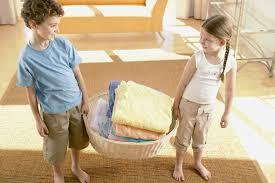 Here's a few quick Love and Logic tips on getting kids to do chores. 3. Call a family pow wow to ask what things they might be willing to do. Be ready for complaining but also be ready for some chores they can do and offer choices. A sneaky way to start is by if they could do some of the really big chores you do -like earning the money, paying the bills, doing all the laundry, etc. When they bulk just say you'll be happy to do that and go on to the next one until you get to a more doable list.